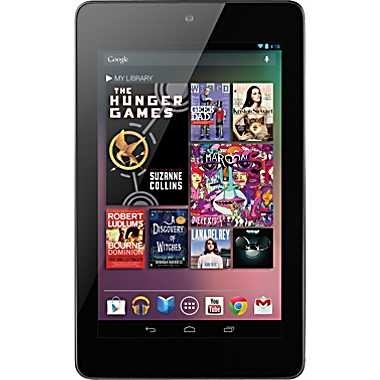 Staples Drops Nexus 7 32GB To $199.99 ($50 Off) And 16GB To $179.99 ($20 Off), Clearing Inventory For A New Nexus? We've seen every indication a shiny new Nexus 7 is on the way from Google, including retailers clearing out stock of the original tablet at steep discounts. 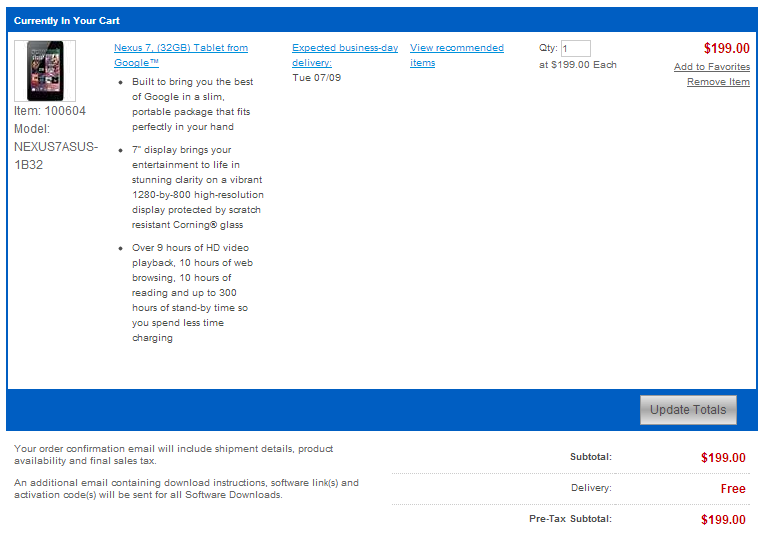 Staples is up today with a price reduction on both 16GB and 32GB versions. It's not a bad price, but there are online deals for less. This does, however, make it look like Staples is making room for a new product – most other brick-and-mortar retailers are sticking to the default price. These are both the same devices you'd get from Google, but you'll pay a bit less. The 32GB unit is going for $50 below Google Play's price, and the 16GB has a more modest $20 discount. You can pick these up in Staples stores, or have them shipped free. You will probably have to pay a little in tax, though. If you have a Discover card, the ShopDiscover service offers an additional 5% off at Staples. Not a bad deal, all told. Still, that rumored new Nexus could come along at any time.